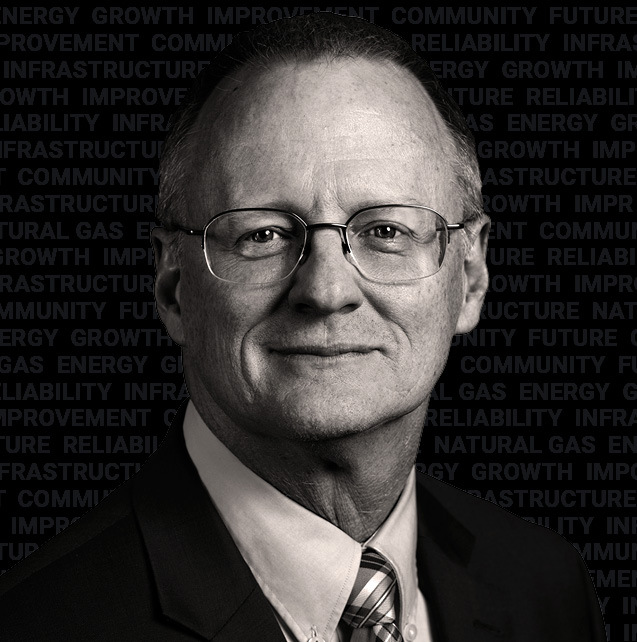 As one of the largest natural gas companies in Pennsylvania, Peoples Natural Gas has seen significant growth through the investment of infrastructure upgrades. Helping to lead these efforts is Paul Becker, vice president of construction and engineering. He has worked in the gas energy industry for almost three decades and started his career with Peoples in 2011. He is responsible for the design and construction of natural gas facilities, specifically relating to transmission and distribution. He received his Bachelor of Science in engineering from the University of Pittsburgh and a Master of Business Administration from Duquesne University. 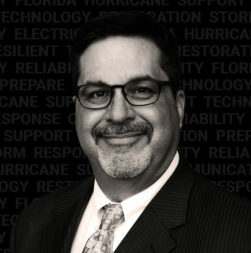 He is a registered professional engineer in Pennsylvania and a member of the American Society of Civil Engineers, the Energy Association of Pennsylvania, and the American Gas Association. Flagger Force: What are some of the key initiatives you are working on presently? 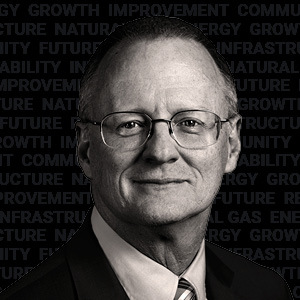 Paul Becker: In 2013, Peoples introduced the long-term infrastructure improvement plan in Pennsylvania, which outlines a 20-year strategy for upgrading 3,000 miles of gas pipeline. This has been our key initiative and will continue to be until we meet our goals. Since our program began, we have replaced over 400 miles of aging infrastructure. 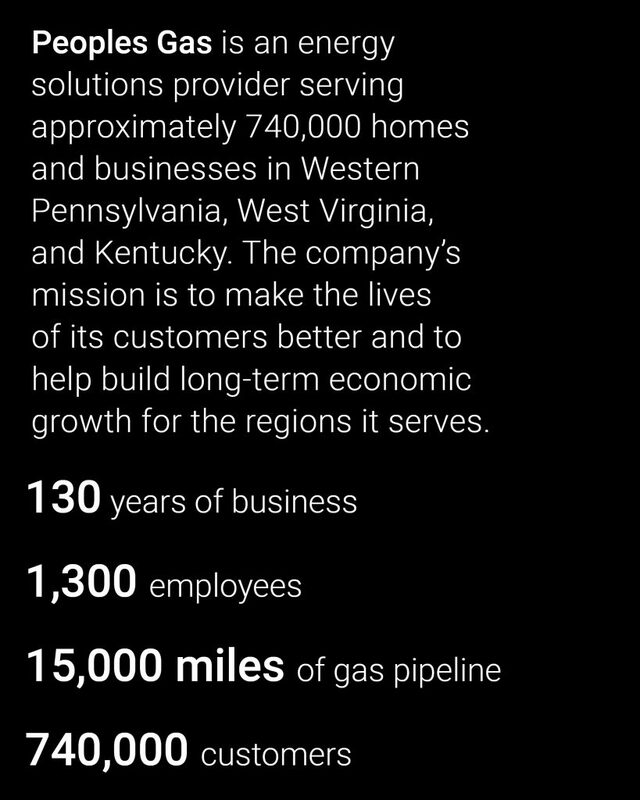 In 2018, we have set a goal to replace 150 miles of pipeline. Flagger Force: How does the energy industry fit into aging infrastructure discussions? Paul Becker: Gas is right in the middle of the conversations surrounding infrastructure. The natural gas system of Peoples was developed in the late 1800s and has grown for over 100 years. Our current infrastructure has provided the energy and support through decades of economic growth and improved the standard of living. Our view of replacing the current bare steel pipes with primarily plastic pipes will, again, improve the growth of our communities for years to come. It also provides the opportunity to use our own abundant natural gas to in turn create jobs and grow economies. Flagger Force: What are some challenges specific to working on pipelines located near roadways? Paul Becker: Particularly in urban areas, we actively engage with city municipalities and other utilities— regularly holding coordination meetings. These meetings establish opportunities for us to plan multiple jobs at once, such as water, sewer, and other underground facilities — increasing the value and lowering distribution costs to residents and fostering improved commerce. We think about the permits, work site safety, traffic control, timing, and system requirements when planning our work. In rural areas, there is still an amount of coordination and communication that needs to happen, but the main difference is that collaborative meetings are not needed as frequently due to the lower incidence of utilities’ infrastructure coinciding. Also, we need to consider different environmental concerns in rural areas, such as farmland and ground water, to mitigate disruption to these natural resources. Flagger Force: What is something you would like to see more people talking about regarding your industry? Paul Becker: Natural gas has a lot of underutilized uses. For instance, combined heat and power and natural gas fuel cells are allowing our customers to improve reliability, generate their own electricity, and lower their costs by using this available resource. Peoples has been working to educate consumers and the public on the potential savings and environmental benefits of using natural gas with fuel cells in their homes. Flagger Force: What is something you are personally proud of at Peoples Gas? Paul Becker: We are a company committed to making lives better through our involvement in the community and our efforts to improve the environment. From the “little things,” such as one of our crews helping a stranded motorist to organizing volunteer efforts through our Volunteers Activities Committee (VAC), which every employee of Peoples is a part of, we see our success tied directly to the success of the communities we serve. Flagger Force: How does Peoples Gas give back to the community? Paul Becker: Through VAC, about 1,300 employees collectively focus their power to aid parts of the community that need support. We can focus on things like community food banks, volunteer donations, and community sponsorships from the little league to the major league. Recently we began a new holiday tradition in downtown Pittsburgh called the Peoples Gas Holiday Market. It has driven members of the community to the storefronts and restaurants in this area about a month before Christmas, which has supported economic development in the city. Flagger Force: What does Peoples Gas look for in partnerships? Paul Becker: Peoples looks for partners that move communities forward and share our vision of using natural gas to improve reliability and lower costs. One example is our partnership with Watt Fuel Cells to develop new technology and get it in the hands of consumers. There is a lot of groundwork to be done, but through this partnership, with the shared goal of providing new resources that provide economic savings to the customer, we are excited to expand this technology. We see this as the future — fuel cells in homes and taking advantage of natural gas. Additionally, Peoples has developed an initiative to partner with organizations who can increase our safety knowledge and practices. By doing this, we expect to become an industry leader and continue providing a safe environment for our crews to work. As one of the largest natural gas companies in Pennsylvania, Peoples Natural Gas has seen significant growth through the investment of infrastructure upgrades. 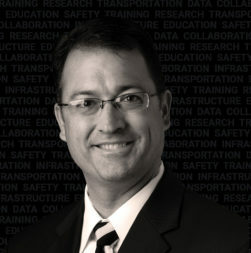 Helping to lead these efforts is Paul Becker, vice president of construction and engineering. He has worked in the gas energy industry for almost three decades and started his career with Peoples in 2011. He is responsible for the design and construction of natural gas facilities, specifically relating to transmission and distribution.